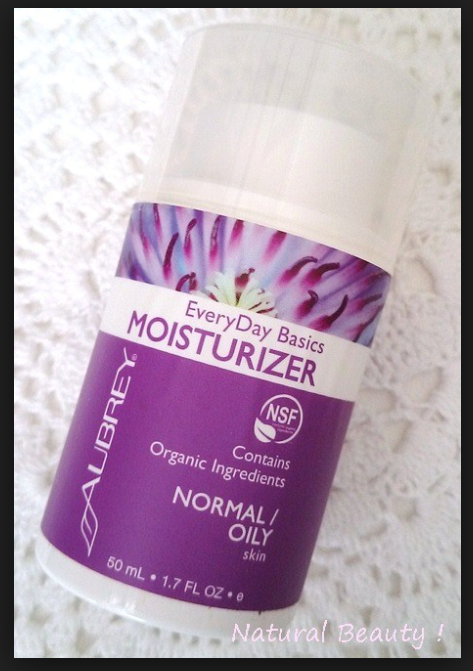 AUBREY Every Day Basics Moisturizer, My Honest Review. I was first introduced to AUBREY through Vegan Cuts through the monthly Beauty box Subscription and I have been loving this Brand… so I wanted to write and little Blog and share with you my experience! according to their website: AUBREY uses the Purest Natural and Organic ingredients from fair trade sources and uses them in hadcafted all natural products that are good for you and good for the Earth. after shaking… I pumped out the white Moisturizer and it seemed very very greasy to me… I said what the hell… and I applied it,! immediately my skin felt refreshed! and surprisingly Moisturized! I was under the impression that Moisturizers for oily skin would dry my skin out… but apparently not!! and then it dawned on me… I should be using Normal.oily moisturizers! the dry ones are way too greasy! The AUBREY Every Day Basics also has Organic Quinoa Protein, Organic Witch Hazel, Organic Aloe Vera!!! I was checking to order the Cleansing Cream and saw that If you subscribe to their newsletter you can save 20% OFF! so that was a nice Surprise!! This product is $9.95, which is pretty good for a face Moisturizer! follow me for more cruelty-free and vegan goodness! Previous Fruit Sushi! So Amazing you will be speechless !